Property Tax Appeals have become an important item for a homeowner or commercial property owner to consider. It has been estimated that 30% or more of properties may be overtaxed. We believe that estimate is very conservative. An even greater number of commercial properties are likely overtaxed. During the real estate boom of the prior decade, tax assessments climbed, but when property values drastically declined, many local governments did not adequately reassess and in some cases even raised taxes. In recent years, tax assessments gradually declined in an effort to catch up to the downward trend in property values. However, values are trending upwards again and residential property values have increased by as much as 20% in some areas since 2013. 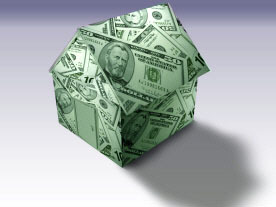 As a result, property taxes are once again on the rise. O'Neil Appraisal has a 95% success rate at the Michigan Tax Tribunal saving our residential and commercial clients hundreds to thousands of dollars in property taxes per year. In many cases, this results in not only a reduction of your present taxes, but usually includes a refund of your overpayment for the years that are appealed. As the property owner, there are specific procedures for appealing assessments that you must adhere to, so it's important to enlist the help of a professional appraisal firm that is experienced and trained in the ins and outs of your particular jurisdiction. Be assured that at O'Neil Appraisal, LLC, we are experienced and able to assist you and to professionally and persuasively testify at appeal hearings. If you feel your new assessment is inaccurate or too high, call your local assessor's office and inquire. If you are still not satisfied you should schedule an appointment with your local Board of Review. For residential properties, the hearings are typically held in February or early March. If you miss that hearing time-frame, you will lose the opportunity to appeal your taxes for the current year. Contact your local assessor for their specific hearing dates and scheduling requirements. Additionally, it is strongly suggested that you go to your local board of review armed with a professionally prepared appraisal. That’s where we come in. We will prepare an independent appraisal pursuant to tax appeal standards that will be your best asset in helping you prove your case. For commercial properties, it is not necessary to appeal to your local municipality’s board of review first, however, you must file your appeal with the Michigan Tax Tribunal by May 31st, or you will lose your ability to appeal your taxes for the current year. Rules and procedures for the Michigan Tax Tribunal are similar to what you would find at any judicial proceeding, therefore, it is imperative that you go armed with a professionally prepared appraisal. We frequently accompany our clients to the Tax Tribunal hearings to testify and present the appraisal and our analysis of market conditions. Whether it is preparing your tax appeal appraisal or accompanying you to the Tax Tribunal to give testimony and present evidence, we at O'Neil Appraisal stand ready to help guide you through the tax appeal process. It makes sense to do your own research before determining whether to go forward with a property assessment appeal, especially before you make the decision to hire a professional appraiser. However, according to the Uniform Standards of Professional Appraisal Practice (USPAP), we are not allowed to take "shortcuts" -- i.e., utilizing your research -- and use it on its face as part of our independent evaluation. When you hire us for an assessment appeal, you're commissioning an independent, third-party professional appraisal report. As such we do our own evaluation, beginning to end. If you are correct that your property has been overvalued, an independent report such as ours will be even more persuasive than any other evidence you can marshal on your own. Please feel free to call us at (248) 674-3333 with any questions you may have regarding the tax appeal process.